Mango Bay Beach Resort is strategically located in the notable Holetown area in the Gold Coast of Barbados. Guests staying at this hotel will feel like a home-away-from-home with the availability of the smallest to the most luxurious of amenities. Moreover, the resort enjoys a stunning beach-front location, making it convenient for beach lovers and water sports enthusiasts alike. The hotel comprises of 76 bright, airy and luxurious rooms and most of them offer stunning views of the sun, sand, sea and of course the lush green gardens. The best and the foremost aspect about the hotel is the outdoor swimming pool, which is stunningly set amid lovely gardens. 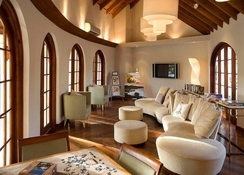 Guests can relax at the Elements Spa by availing various massages and beauty treatments. 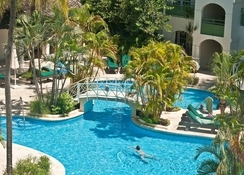 The resort is conveniently situated in the heart of the Gold Coast of Barbados. It will be an exciting time for those who believe in retail therapy as the Lime grove Lifestyle Centre is only a few metres from the hotel. It will be an exciting time for beach lovers, as the hotel sits on a beach. The Sir Grantley Adams International Airport is about 27.1km from the resort. At the Mango Bay Beach Resort you can get yourself spoiled with uncompromised luxury when you stay in the spacious ocean front suites. The hotel features 76 suites that offer the finest quality linens, bath amenities, wireless internet and spectacular views of the Caribbean Sea. The rooms and suites in the hotel come in following categories: Standard Room, Standard One Bedroom, Superior Room, Deluxe Room, Ocean Front Room and Penthouse Suite. Mango Bay Beach Resort offers the finest dining facilities at the Julian Restaurant. The Julian Restaurant, which is situated right in front of the beach provides open-air as well as air-conditioned dining facility. 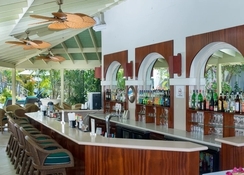 Unlimited alcoholic and non-alcoholic beverages can be enjoyed in the in-house bar. In this restaurant, you can choose from a wide array of international and local dishes. 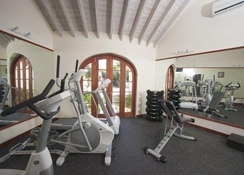 There are ample sport and entertainment facilities both for regular travellers and honeymooners. 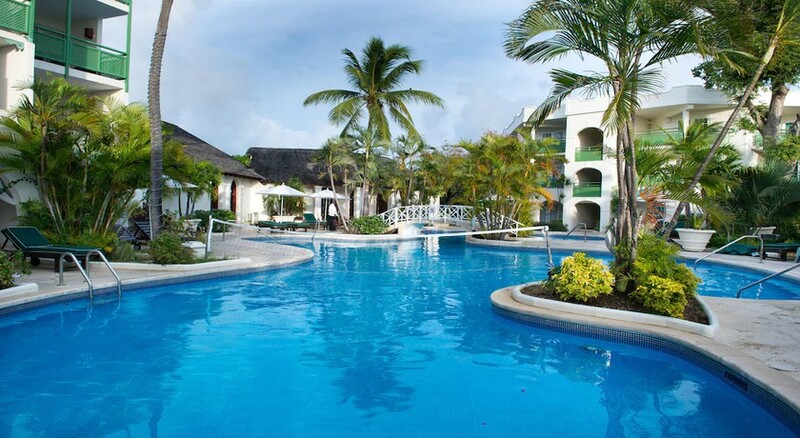 Here you can take a relaxing swim in the outdoor swimming pool under, those who are enthusiastic about water sports can take advantage of the following facilities: pedal boating, snorkelling, scuba diving, water-skiing, hobiecat sailing and much more.